This past Saturday was Round 11 of the GNSW season and the final regular season round for 2017. Our colts had a bye whilst our men headed over to Neptune Park and our women over to Lidcombe Oval to play their final round matches. 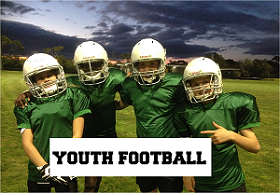 COLTS – Our colts had a bye round and waited in anticipation for the results of Round 11 to see whether they would have a place in the finals. We are very pleased to announced that in the 2nd season back in action they have secured 6th place and will play in Round 1 of the Finals! WOMEN – Our women kicked off at 12pm against the Northwestern Phoenix in the hopes of securing their 3rd consecutive undefeated season. 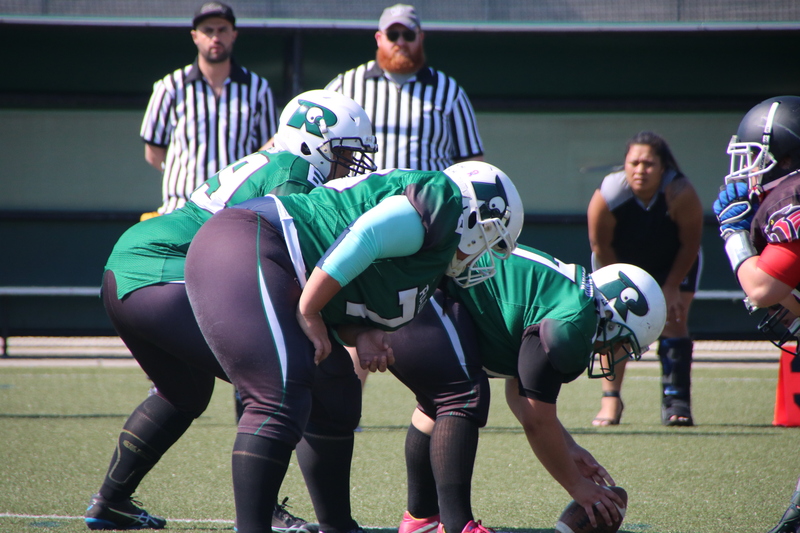 By mid way through the 1st half #43 Renae Hahn put the first points on the board rushing in a touchdown which was converted by #47 Emma Furneaux but the Phoenix struck back and the score at the end of the first half was 8-8. MEN – Prior to the men’s game the “Peter Tos Snr Life Time Service Trophy” was revealed. 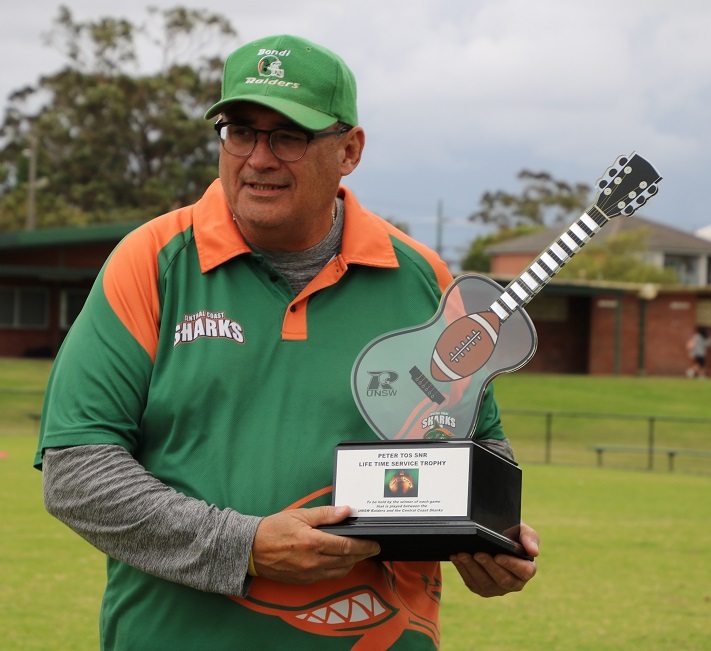 This trophy is in tribute to Peter Tos’ commitment and service to football and especially to both the Raiders and the Sharks. It was announced that moving forward the trophy would be held by the winner of each game played between the two teams. Finally, the game kicked off a little after 6pm. The Sharks meant business striking early and were leading at the end of the 1st quarter 8-0. In the 2nd Quarter, our defence held firm and it was the Raiders turn the strike with a touchdown pass by #3 Lukas Vojnar to #16 Chris Ravlich. A successful pass by the quarterback to #86 Joey Donaghy gave the men the additional 2 points and the score was 8-8 at the end of the half. In the second half, both teams meant business. 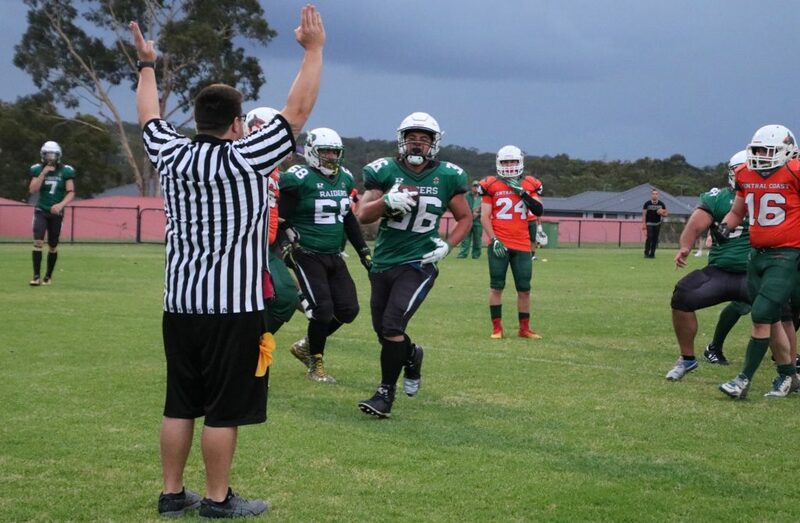 The Raiders opened the scoring with #36 Christian Gaitau scoring a rushing touchdown that gave the Raiders a 14 – 8 lead but not for long – the Sharks struck back and the score was even again at 14 all at the end of the 3rd. The 4th quarter opened up in a similar fashion to the 3rd with a rushing touchdown to Running Back #36 Christian Gaitau giving the Raiders a 20-14 lead but again, not for long, a touchdown and successful PAT to the Sharks gave them a 2 point lead and the Raiders trailed 20-22. 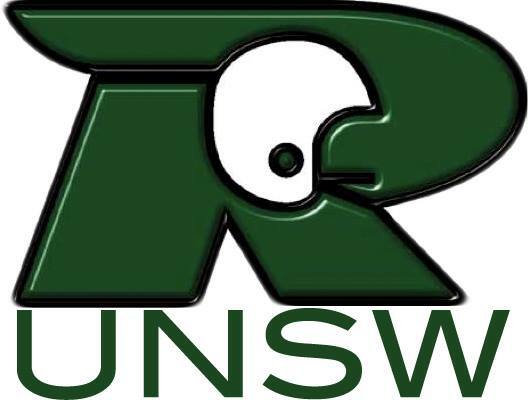 We are very proud to announce that all 3 of the UNSW Raiders teams will play in Round 1 of the Finals! Our next games are on Saturday 2 December 2017 which is Finals Week 1 of the GNSW Season. LEAGUE LADDERS – These are updated weekly and can be found to the right of this post. WEEKLY HIGHLIGHTS – Make sure you look out for our weekly highlights reel which will be posted on Facebook page on Tuesday morning.